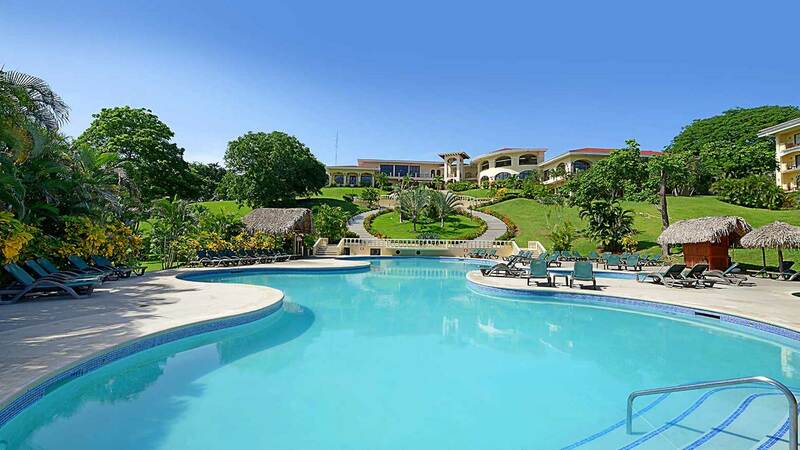 Barcelo’s Occidental Papagayo is an Adults-Only, all-inclusive resort ideal for rest and relaxation mixed with adventure in superb natural setting. The pool is the focal point in the center of the property with rooms, lobby, restaurants, massage cabanas and beach all within a short distance. Set in an idyllic location surrounded by the wild, natural beauty characteristic of Costa Rica’s northern Pacific coast, guests will feel swept away to a tropical haven, enjoying all the amenities one could imagine. Three restaurants and four bars are on the property, offering you exceptional Costa Rican cuisine and original international offerings combined with meticulous service. The Japanese restaurant offers table seating, private tatami rooms and a teppanyaki table. Dinners for à la carte restaurants at Occidental Papagayo can be booked after the second day of your stay, and you can enjoy one à la carte dinner for every 3 nights of your stay. The U-Spa at Occidental Papagayo offers a tranquil atmosphere where every detail has been considered to provide guests with well-being, health, beauty and comfort while you enjoy treatments. Subtle aromas greet you before you enjoy the hot tub, sauna, Vichy shower or Turkish bath. Private rooms for relaxing and therapeutic massages and facials, plus a full range of beauty services are offered. The gym has equipment for cardio training and machines for resistance training. Occidental Papagayo features spacious and bright rooms that have been designed for the enjoyment of their guests. Premium Level options give guests a VIP experience with preferential restaurant reservations, a Premium Level Lounge and other amenities for a perfect romantic vacation in tropical paradise setting. 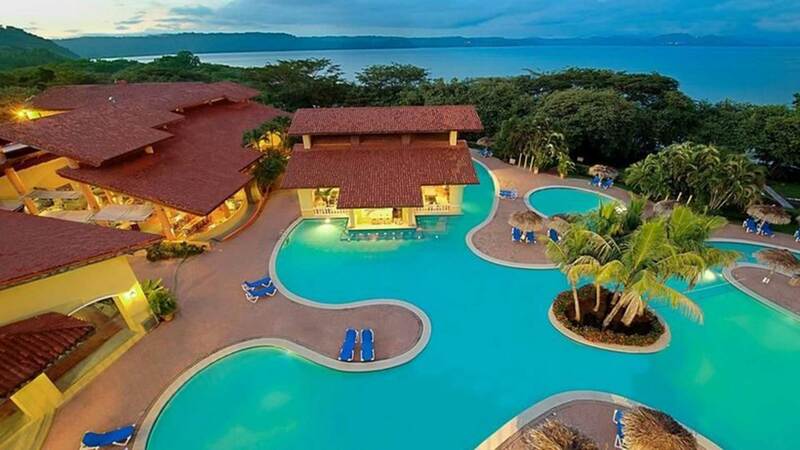 Enjoy more of Costa Rica. The Guanacaste Province and the Culebra Bay offer great off-property opportunities too so you can enjoy Costa Rica and stay active. Some of the favorite activities enjoyed by guests include scuba diving, snorkeling cycling, kayaking, paddle-boarding, zip-lines, ATV tours, horseback riding, rappelling and much more. 163 Deluxe, Deluxe Bay View, Deluxe Concierge, Deluxe Bay View Romance and Premium Level Luxury rooms have balconies or patios and are equipped with two Double Beds or one King Bed. Safe, Hair Dryer, writing area with seat. Free Parking (Self-Parking), 24 Hour Reception, Wi-Fi (Free with Royal Club or Barcelo membership, otherwise Fees apply), Three Restaurants, Four Bars, Two Swimming Pools and a Gym. Archery, Tennis, Chess, Volleyball, Snorkeling and Kayaking. Optional services include: Spa, Gift Shop, Laundry Services, Medical Care, Fax Service, Conference Rooms. Adventure, Nature and Cultural tours or Destination Weddings can be arranged, please ask our agents to coordinate. Italian restaurant with views overlooking the bay. Dishes on the menu are subject to availability and seasonal variations. Dress code: informal, beach wear not permitted. Japanese and Asian fusion restaurant with private tatami rooms and a teppanyaki table. Dishes on the menu are subject to availability and seasonal variations. Dress code: informal, beach wear not permitted. Snack and drinks buffet. Dishes on the menu are subject to availability and seasonal variations. The hotel also features a disco, where guests can dance and enjoy refreshing drinks and delicious cocktails (Smoking is prohibited in the club).